Are you the type of Geocacher that likes to know which direction you are going AND what the temperature is? Well, have we got the item for you! 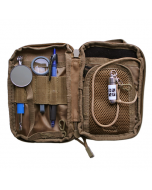 From our friends at Bison Designs comes the ClipIt® Compass and Thermometer in one! 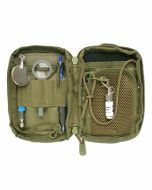 It has a compass on the front, a thermometer on the back, and clips right on to your favorite Geocaching gear. 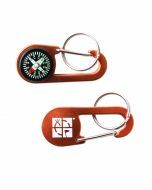 It also features the Official Geocaching Logo on the thermometer so you can show your geocaching pride and the temp! These are a great addition to your TOTTs collection or also make great gifts or premium SWAG. Made of anodized aluminum. 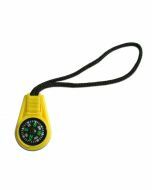 Includes the ClipIt® carabiner style compass, thermometer and also a key ring.